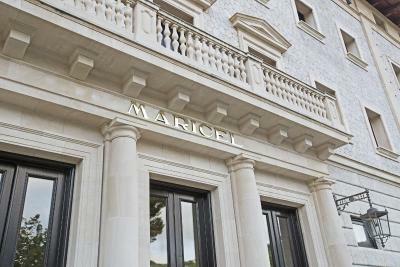 Lock in a great price for Hotel Hospes Maricel y Spa - rated 8.8 by recent guests. Enjoyed very much the Spa, Fantastic, facilities, very profesional staff. high standard of service. We were here to celebrate my boyfriend’s birthday and the staff at Maricel went above and beyond to make our stay amazing! They provided a beautiful cake after dinner and sang happy birthday! We’ve had a really lovely stay and I completely recommend this cocoon of luxury. All the staff are brilliant - friendly, professional - excellent. Stunning location, well equipment rooms, having a balcony makes difference especially perfect for that pre-dinner drink. Helpful friendly staff keen to ensure you have a perfect stay. Will definitely return again. 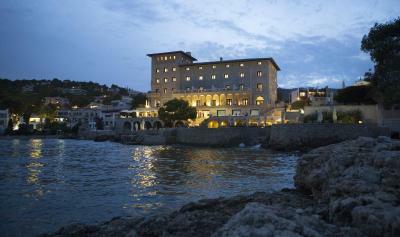 The hotel is absolutely beautiful, with tasteful decor, amazing views, excellent staff and first class food. 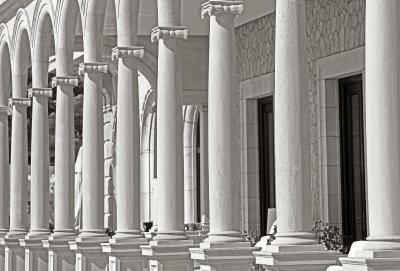 Beautiful hotel, friendly staff. Would definitely return. 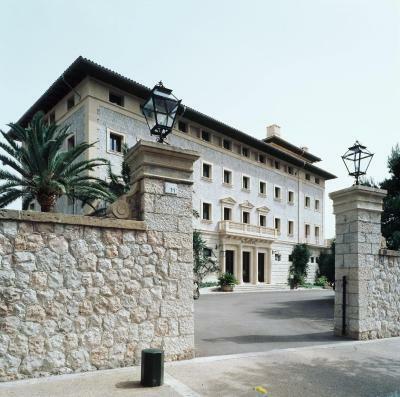 Hotel Hospes Maricel y Spa is an impressive hotel located just 10 minutes’ drive from Palma de Mallorca. 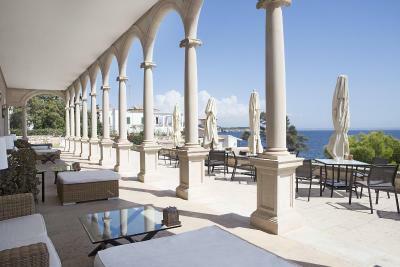 Featuring both modern, 16th and 17th-century architecture, it has an amazing seafront infinity pool and a well-equipped spa. 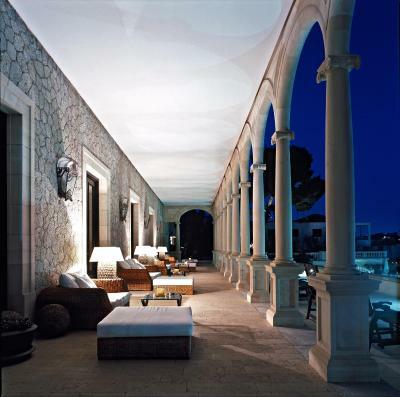 The hotel is made up of the original mansion and a modern annexe building with contemporary décor and exposed stone walls. 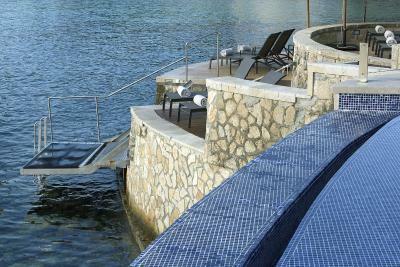 You can access the property's private natural caves, some of which have been converted into seafront massage rooms. 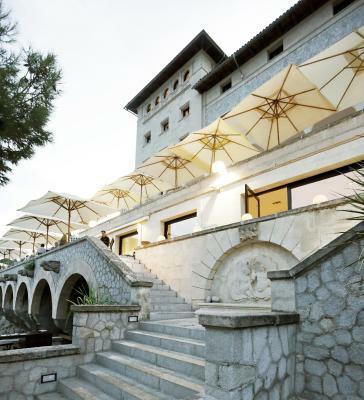 The Bodyna Spa at Hospes Maricel y Spa includes indoor and outdoor pools, a hot tub, sauna and Turkish bath. There is also a terrace, garden, a gym, and massage services are available. 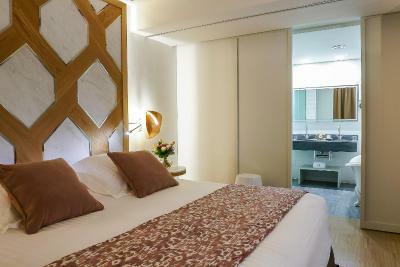 The stylish, air-conditioned rooms at Hotel Hospes Maricel y Spa feature free Wi-Fi, flat-screen TV and a minibar. 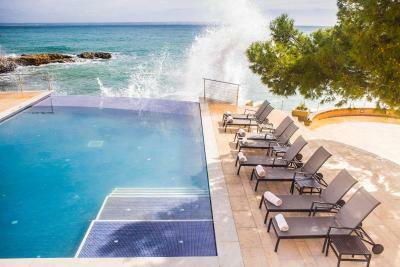 Each one comes with a private bathroom with a hairdryer, and some have a private pool. 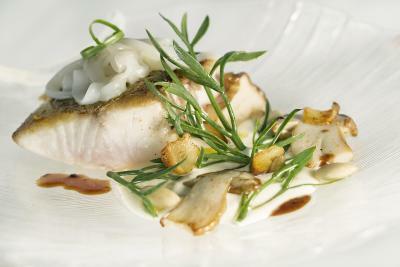 The hotel’s Maricel Restaurant offers traditional Mallorcan food and a range of quality local wines. At the bar you can enjoy a cocktail accompanied by live jazz. 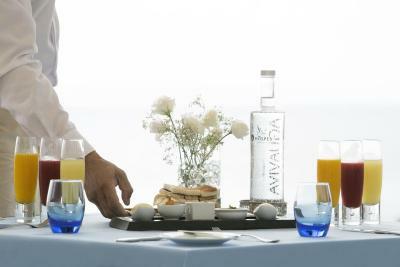 Breakfast can be also served on the Mediterranean-style terrace which overlooks the sea. Hospes Maricel y Spa has a private jetty where guests arriving by sea can moor a boat, and Calanova Sailing Club is 30 yards away. 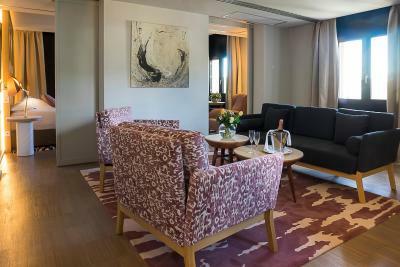 There is a golf course 550 yards away, and you can drive to Palma Airport in 15 minutes. 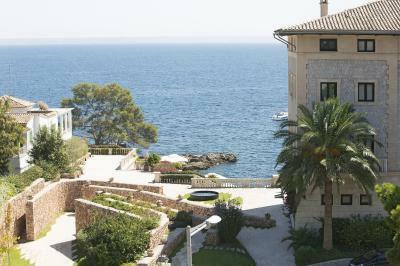 This property also has one of the best-rated locations in Cas Catala! Guests are happier about it compared to other properties in the area. 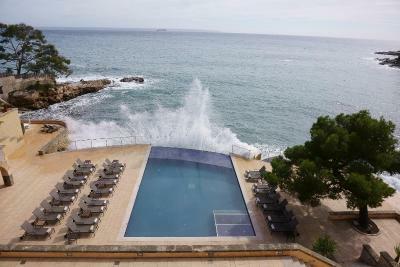 This property is also rated for the best value in Cas Catala! Guests are getting more for their money when compared to other properties in this city. 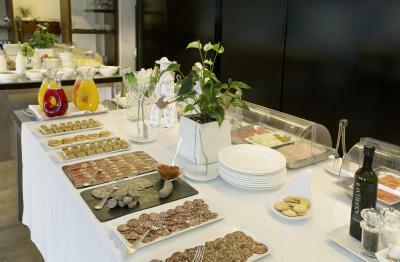 Hotel Hospes Maricel y Spa has been welcoming Booking.com guests since 1 Dec 2006. 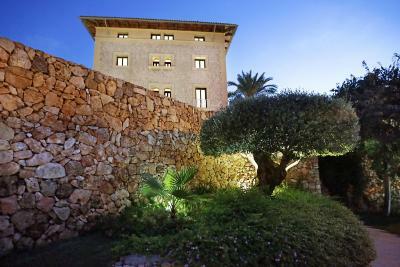 When would you like to stay at Hotel Hospes Maricel y Spa? 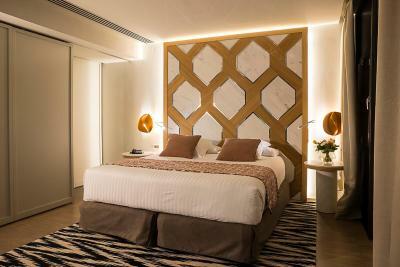 These luxury rooms located in the main building, Palacio, feature a smart décor. 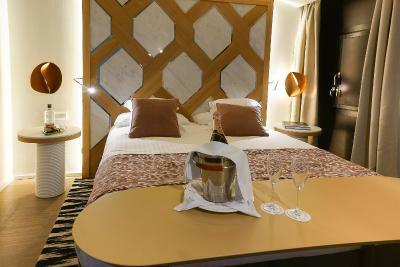 The beds have Egyptian cotton linen, and there is also a 32-inch flat-screen TV. 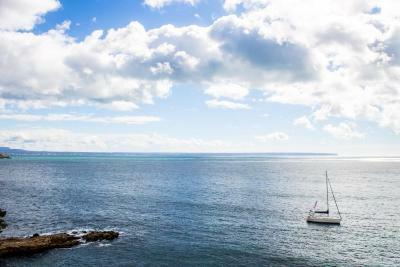 They feature sea view and a private bathroom with tub and free high-end toiletries. These room feature a cosy décor with stone walls and parquet floors, it boasts a small Zen seasonal swimming pool on the terrace. The beds have Egyptian cotton linen, and there is also a 32-inch flat-screen TV. Please note that these rooms are located in an annex building. Please note that the Zen swimming pool is not heated. These smart rooms, feature a delicate décor. 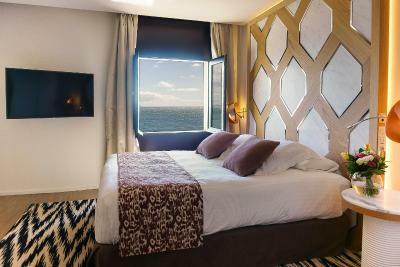 Located on the main building, Palacio, the rooms boast view of the Mediterranean sea. It has a separate living area, and a bedroom with a king-size bed, free internet and 2 LCD TVs. 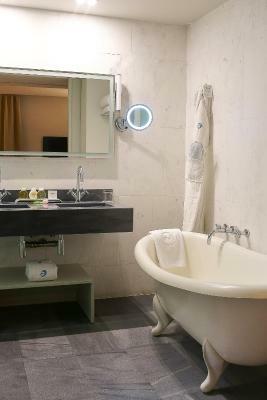 The private bathroom comes with a bathtub and free high-end toiletries. These contemporary rooms are decorated with stone walls and parquet floors, featuring a small Zen seasonal swimming pool. The beds have Egyptian cotton linen, and there is also a 32-inch flat-screen TV. 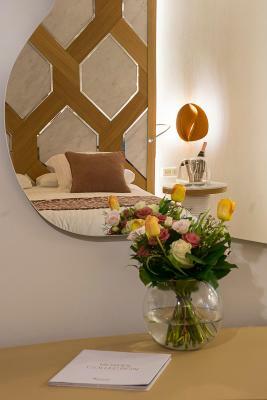 These smart rooms, feature a delicate décor and are located on the main building, Palacio. They offer mountain view. The beds have Egyptian cotton linen, and there is also a 32-inch flat-screen TV. 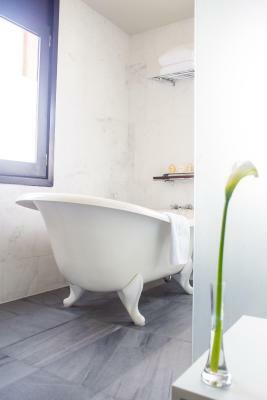 The private bathroom comes with a bathtub and free high-end toiletries. A flat-screen TV and desk area. 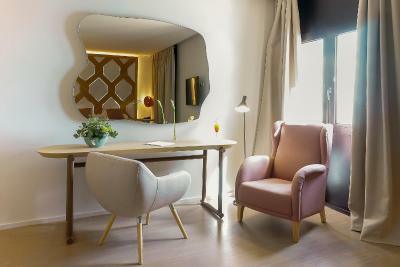 Set in the Cas Catala area, Haricel hotel was designed in 1948 by the Mallorcan architect Francesc Casas Llompart. 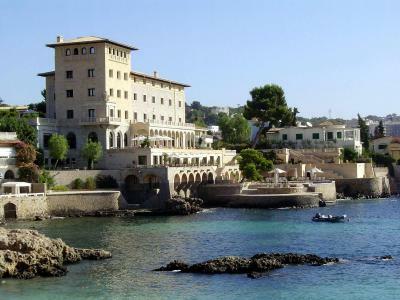 From the beginning this hotel has provided accommodation to important figures, Spanish and European, some of our guests included Montgomery Cliff, Errol Flynn and Rita Pavone amongst many others. 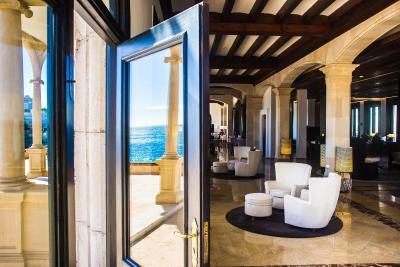 Today, it is one of the most iconic and prestigious hotels on the island, with a privileged location on the beach front and just 4 km from Palma de Mallorca and 2 km from Puerto Portals. 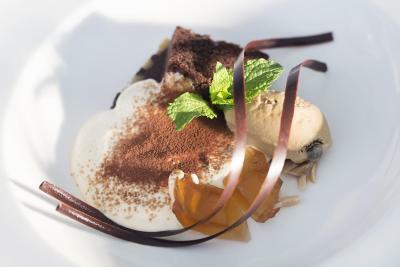 House rules Hotel Hospes Maricel y Spa takes special requests - add in the next step! 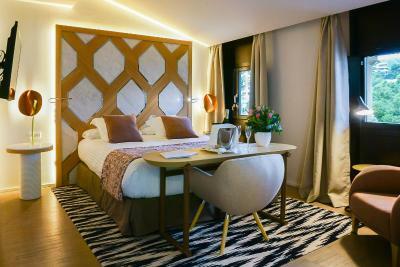 One child or adult is charged EUR 100 per night in an extra bed. 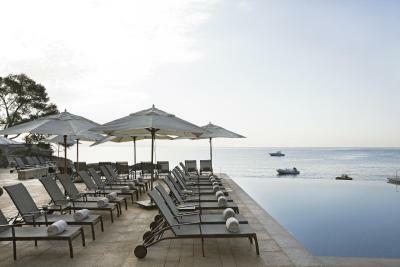 Hotel Hospes Maricel y Spa accepts these cards and reserves the right to temporarily hold an amount prior to arrival. Need to have towel rails in bathroom, I understand these are going to be added, good to hear feedback is taken serious. leaving the hotel and saying goodbye to the staff!! A larger heated indoor pool would be good. 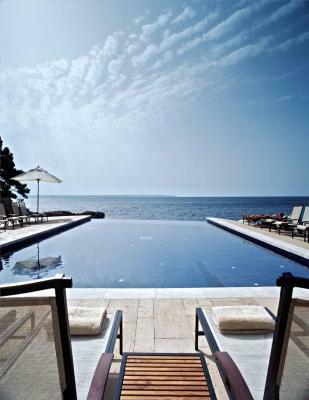 Beautiful place,terrace and pool location straight by the sea. superb views ,quiet understated luxury. great breakfast. good restaurant. The main protagonist here is the Sea!!! The staff was extremely attentive without being intrusive. They took very good care of us, above all Daniela, Juan Pedro, Rafa, Darwin and Eva. It's not a 5 star, the room is super noisy and next to big road. The hotel should have pointed it out in their website! Angel did a great job addressing the issues we had.